Have you tried your hands at Free Rider 2 yet? If you haven’t then I am happy to tell you that the latest sequel of Free Rider web-toy has hit the streets. 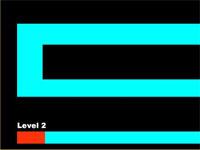 This latest version has improved quality in terms of graphics and gameplay. 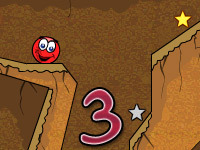 Those who are maniacs of Flash games will absolutely love it. Free Rider 2 gives you the chance to ride a bike or any other vehicle on a road. Not just any road, a road which will be built by none other than you. To top it all you can control the rider through keys and build the road itself. Cool Huh? Yes it is. This is a web-toy which caused quite a buzz when the earlier version released. The developers have added a few features along the way in this second one. You can add curves, straight lines, circles, collectable Items in the map while building it. The editing experience will be much smoother this time. The option of editing the background is a new addition to the game. The experience will be like web-toy combining with editing software. This is not all; you will have pre-prepared codes of various maps to implement in the right panel. Just click open at the left toolbar and copy paste the map code in the place and click apply. A whole new custom level is ready for you to play. Popular codes are Heaven or Hell, Bmx track, City Meyham, Trampoline and so on. 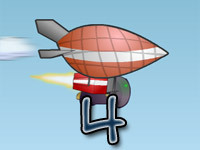 You can add features like slow motion, bombs and power-ups in the way. This time there are more options for you to ride. Along with the bike Unicycle, Truck, hot air Balloon etc. also is on offer. You can use the gravity to your advantage in this edition but it may turn out the opposite for you. Regarding the codes of the game, you can create codes yourselves but the best thing is that there are thousands of codes available in the web. For instance, few maps are, heaven and hell, City Mayhem, track with hidden routes etc. Here, people post map codes and discuss about features of the game. Feel free to browse through. 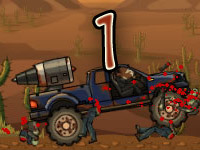 The controls of the game are fairly easy to handle. Just press the movement keys UP and Down to either accelerate or slow the vehicle, left or right to lean, you can press X to turn around and enter in case you fail to complete. If you think your track needs modifications, then you can pause the game, edit the tracks and play again. After the huge roar over the first installment, the second one was due and but naturally it was expected that this one will be anything but a letdown. Pete has come up with a masterpiece; it is truly a package where you get PC type racing experience from a web-toy. All in all a perfect game when someone decides to play for fun. This is not meant for winning or losing just passing out time with utmost fun experience. This game is worth a shot and will not disappoint even the most professional game players. ©2019 Free Rider 2 Codes. All rights reserved.